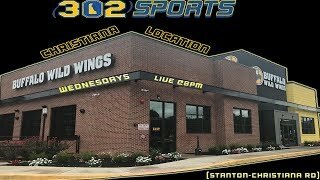 2:11:14Santos 2 x 0 Vasco da Gama - 17/04/19 - Copa do Brasil 1:09:14302 Sports Weekly Week 27 LIVE from Buffalo Wild Wings Christiana 51:16Fox Sports Rádio Completo de Hoje!! 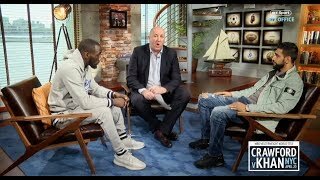 17/04/2019 1:01:04Bucks Courtside Live | 4/17/19 | Tune in on Fox Sports Wisconsin at 7:00pm 15:55TERENCE CRAWFORD v AMIR KHAN - *FACE OFF INTERVIEW* - FROM BT SPORT / CRAWFORD v KHAN 3:56:57FOX SPORTS AO VIVO - CORINTHIANS X CHAPECOENSE 17/04/2019 EM HD 1:31"I am so proud!" 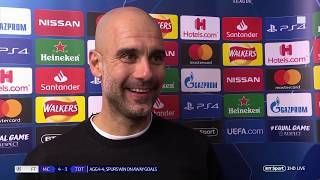 Mauricio Pochettino reacts after an epic night in Spurs' history 2:00"It was cruel" Pep Guardiola reflects on the VAR incident, and questions Llorente's goal 2:52Christian Eriksen and Heung-Min Son react to Man City vs Spurs | What a game! 5:14WOW! 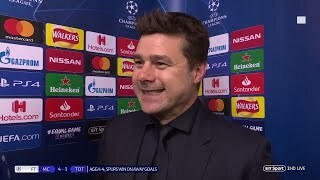 Amazing scenes as Spurs knock Man City out of the Champions League! 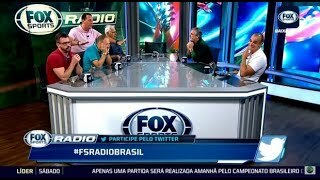 59:01Manchester City vs Tottenham Hotspur Live beIN Sports 38:18Fox Sports Radio Completo Parte 3/3 - 17/04/2019 51:50Fox Sports Radio Completo Parte 1/3 - 17/04/201 24:30Fox Sports Rádio 17/04/2019 | Parte 3/4 19:09IPL 2019: Hyderabad ने Chennai को आसानी से हराया | Hyderabad vs Chennai 54:44Fox Sports Rádio 17/04/2019 | Parte 2/4 14:42Dhoni के बिना Chennai का बुरा हाल, 20 ओवर में बनाए 132 रन | SRH VS CSK 12:24FOX SPORTS RADIO COMPLETO 17/04/2019 AO VIVO 22:14:02FOX SPORTS RADIO COMPLETO 17/04/2019 AO VIVO 1:43Amazing scenes! Ajax players celebrate in Juventus stadium dressing room!